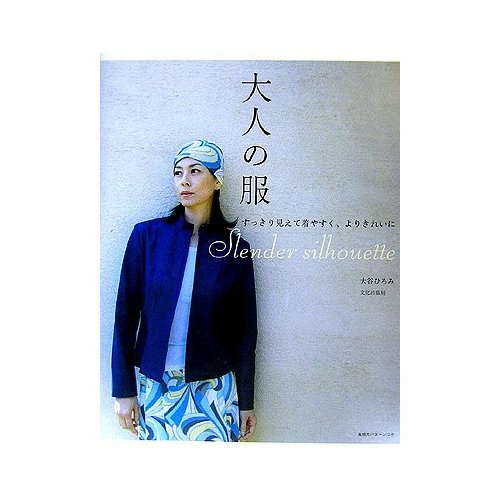 I chose this book for the April, 2012 giveaway based on the results of the last week’s poll and comments left on previous reviews of Japanese sewing books (in the general vein of ‘I love the styling but I wish the clothes were more fitted/ weren’t sacks’). Well, rest assured this book takes care of all that. Happy lady has a waist! All of the garments are classic styles designed for adult women (read, women who prefer their clothing to have a defined waistline or some hint thereof) cut in flattering silhouettes like the classic A-line. Serious lady has a waist too! And the jelly fish trim is actually a corsage (pattern included). 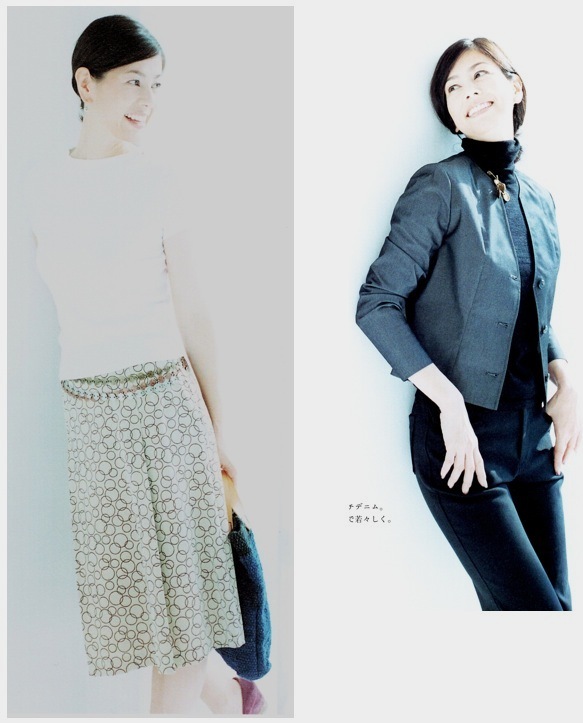 The 15 styles (13 garments, a shibori dyed scarf and corsage) form a wearable work-safe wardrobe comprised of a Fifties-style shell top and sleeveless blouse, a shirt, a mock wrap dress, an empire waist dress, a yoked skirt, a coat, a suit (jacket + pencil skirt) as well as two casual jackets and a yoked skirt with a flared A-line silhouette. More sea life i.e. 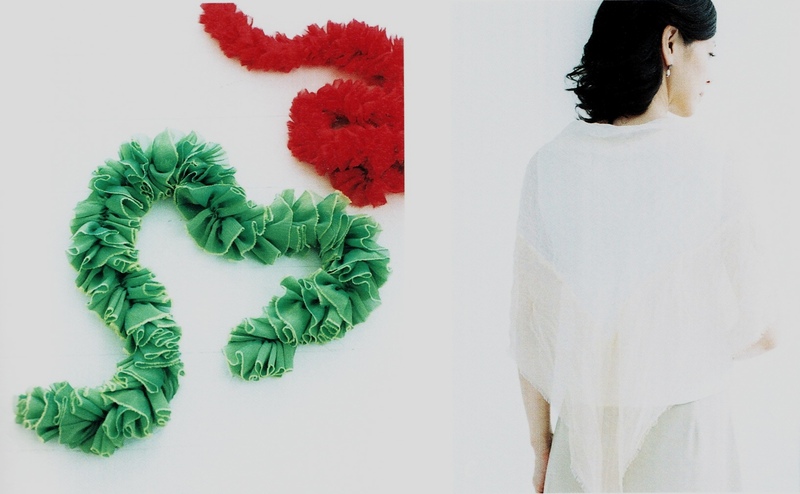 accessories (patterns included). 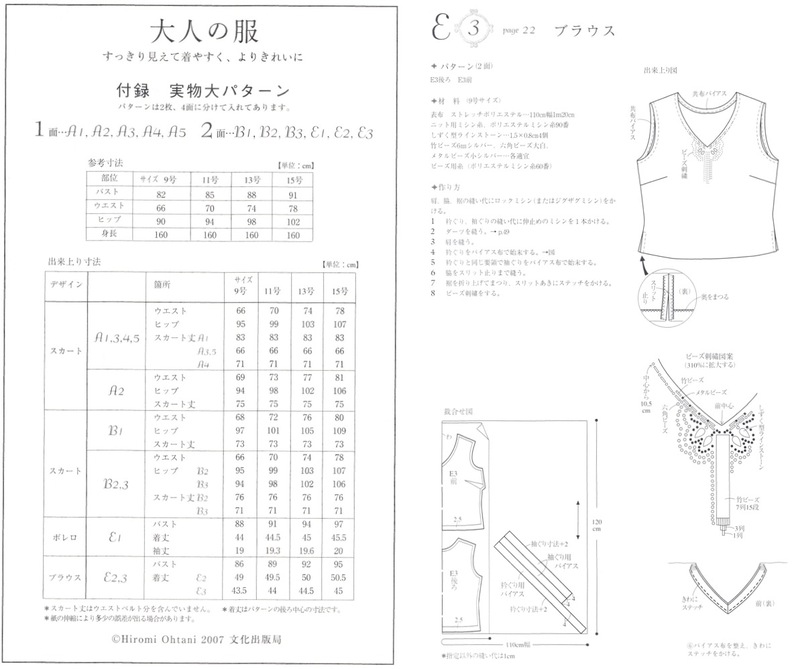 The sizing is in Japanese women’s sizes 9-15 (bust size 82-91) and the size tables include what appear to be finished measurements for all garments. The instructions are in Japanese with clear, easy to understand illustrations. The size chart and, a sample instruction page (for the shell top featured in the image above). 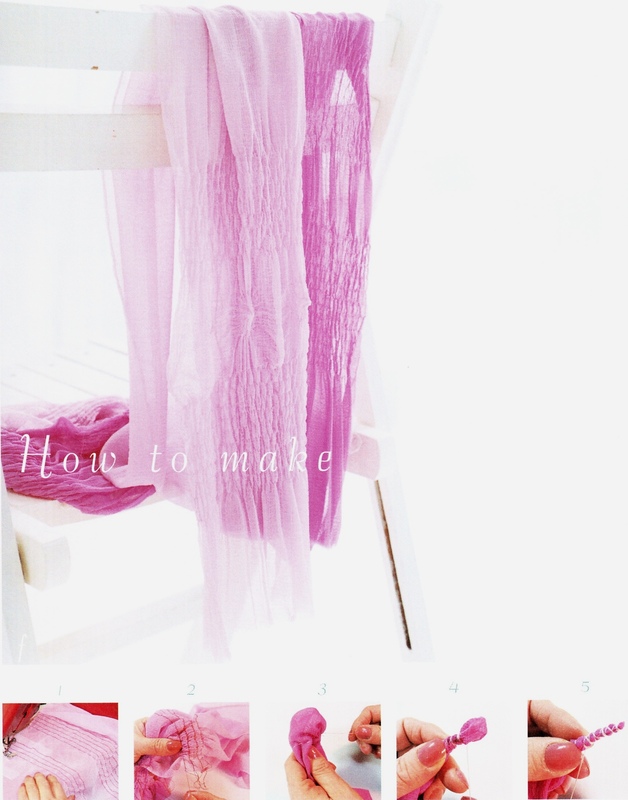 There’s also a tutorial for a very pretty shibori (intricate Japanese tie dye done with stitching instead of tying) scarf/ shawl included. Happily, it’s sewing machine-friendly. Perfect for a lady-like accessory made without channelling the essence of Paella.. This is a brand-new book with patterns still attached. To participate in this giveaway, please leave a comment on this post and on any other post(s) in this blog. Giveaway ends on the 30th April, 2012. Best of luck!